As usual there have been some last-minute tweaks by the tax authorities to some of the declaration boxes this year. This update is designed to use alongside our 2019 French Income guide, which was written with the information available on going to press. Consult the sections below which are relevant to income you have to declare. 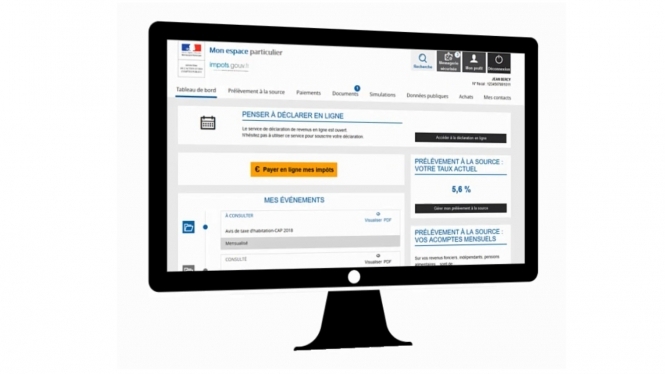 A specific box has now been provided on the main 2042 declaration, at 1AA/1BA for inserting income of employees of members of the public (known as particuliers employeurs) who employ you to help at home with tasks such as gardening, cleaning etc. There are some changes to this section, mostly linked to the introduction of the new flat tax. Formerly there was a 40% abatement for French dividend income and for ‘qualifying’ overseas dividend income and the section dealing with this income in the 2047 overseas income declaration was separated into sections for qualifying and non-qualifying income. There are no longer two distinct sections. As of this year’s declaration, the 40% abatement for French and qualifying overseas income will only be applied if you ticked the new box 2OP on the 2042 to opt for taxation according to the income tax bands for your investment incomes, as opposed to the flat tax. Due to these changes, there are some alterations to line numbers in the 2047, however the totals are still carried to the same boxes on the main 2042. In practice this should not cause undue difficulty as the labelling of the lines should clarify what goes where. However if in doubt we have rewritten the relevant guide section below with the updated line numbers where applicable. For UK dividends: On form 2047 line 200+ Dividendes et jetons de présence: Write “RU” (UK) in line 201 (pays d’origine); then in 203 write the net income from all relevant UK dividends; then in 204 the official dividend tax credit percentage rate from the countries list in the 2047 notes (17.7% for the UK); then multiply the income by the rate to work out the credit and insert this in 205 and then actual UK tax paid in line 206 (probably zero). You do the same in the extra columns provided if you have income from other foreign countries. The smaller of the two figures – tax credit or actual foreign tax – should be inserted in 207 and then the total of incomes from 203 and tax credits from 207 is inserted at 208. Total dividend income is also inserted at line 221. The part of this income from ‘qualifying’ dividends is inserted in line 222 and any part from ‘unqualifying’ ones goes in 223. This income, and French dividends, is also declared in form 2042 section 2. Dividends from French shares and qualifying UK shares and unit trusts are declared gross in 2DC (This is the figure from line 222 on the 2047). Non-qualifying ones go in 2TS (from line 223 on the 2047). If you claim allowable expenses with regard to investment income, these are inserted on the 2047 at line 274 before they are carried to the 2042, box 2CA. These allowable expenses need to be justified. If these incomes benefited from tax credits then the 2047 also asks that the amount of the credits be inserted in 2047 section 7 and the total of any tax credits/foreign tax is also carried to box 8VL at the end of the 2042C. Please note the possibility of opting for taxation according to the ordinary bands may be selected by crossing box 2OP on the 2042 declaration, however it applies to all your investment income if selected. As of this year’s declaration the reduction of the taxable gain for length of ownership (50% for shares held at least two years; 65% for shares held at least eight) will only apply if you opt for this (and only to shares purchased before 2018). If you are eligible for this reduction, then the box 3SG for declaring the amount of the reduction is now on the 2042C. If declaring rental income under the micro foncier there is a new box 4XD for ‘one-off’ rental incomes that do not benefit from the année blanche measures. This would not apply where such renting is a normal, regular part of your income. If declaring under the régime réel system, there is now a new box in which to declare the part of the income that is not from ‘one-off’ renting – box 4XA and a new box 4XB for the total rental income. Box 0XX for declaring sums under the quotient system is now in the 2042C (page 3 of the paper form) under Revenus exceptionnels ou différés. As expected there are boxes to be selected towards the end of the 2042C in order to benefit from the exemption – 8SH and 8SI. If only one member of a couple meets the requirements (of not being affiliated to French social security) there are extra boxes that must be completed showing the amounts of relevant incomes for the person concerned. If they have any non-professional furnished letting income, that will automatically be exempt. The income should be inserted in section 2 of the 2042 in box 2TR. If you want the interest to be assessed using only the tax bands and do not want the PFU 'flat tax' to apply, you should select the new box 2OP in the 2042 to opt for the ordinary taxation bands. This option applies to all your investment incomes and investment capital gains. This is declared in form 2047 line 260. Under Intérêts et autres produits de placement à revenu fixe, insert country of origin (RU for Royaume-Uni), then insert the total amount of interest. It should also be carried over as directed on the 2047, in the 2042, section 2, box 2TR. As above, note the option to select box 2OP to have the ordinary tax bands applied to all investment income, as opposed to the ‘flat tax’. There are some changes to the boxes in connection with changes this year to taxation of assurance vie. We are awaiting clarifications and will be publishing a separate article on this. Please consult our Money section next week.